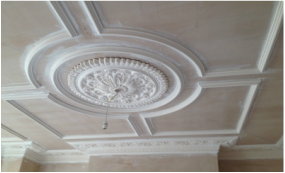 At Decor Mouldings we manufacture supply and install all types of plaster columns, plaster arches and ceiling plaster mouldings. All elements shown are available in stock, or as bespoke work. With over seven thousand plus different architectural plaster mouldings designs from which to choose, we are certain to either have the plaster columns you need, or be able to assist in designing and manufacturing. Please send your enquiry by using the contact form. The Classical Style is generally thought to have its beginnings in the 5th century B.C. We derive most of the knowledge we now have of classical Greek structures from the first-century B.C. 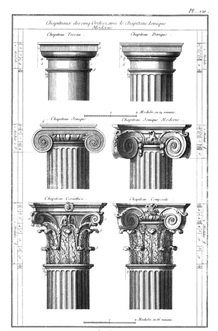 Roman architect, engineer and writer Vitruvius, who maintained that the different profiles of the members comprising what would become known as the Classical Orders were simply named for their place of origin and for the people who created them; hence, the Dorians, the Ionians and the Corinthians. The Romans were brilliant in their use of the older, established and admired architecture of the Greeks to give credibility and grandeur to their new, ascendant empire. Later, the Renaissance authors and architects Serlio, Vignola and Palladio imposed" ideal" rules and standardized sets of proportion to Vitruvius' descriptions. The Doric order is the earliest, plainest and most "masculine" of the classical orders, with a spare, ornamented capital. The frieze ornament, located over the architrave and under the cornice (collectively known as the "entablature") would consist of a tri-glyph pattern. This motif is of disputed origin: some consider it to be evocative of the wooden strips that were originally used to disguise the rough-cut ends of ceiling beams; others, that it is symbolic of the slits cut into the upper walls of structures used to store corn. The Tuscan order as introduced by the Romans resembles the Doric, but features bolder mouldings, and does without any decorative detailing. The Ionic displays a more feminine countenance due to the slender, fluted shaft, and the prominent volutes ornamenting the capital. The Corinthian is the latest and most ornate of the original Greek orders, with a fluted column and a capital elaborately carved with acanthus leaves. The Composite order is regarded as a variant of the Corinthian, but appears to be a marriage between the Ionic and the Corinthian, with the former's volutes and egg and dart collar emerging from the latter's curling acanthus leaves. The Composite appeared during the twilight of the Classical period, and came to prominence only later, under Roman patronage. 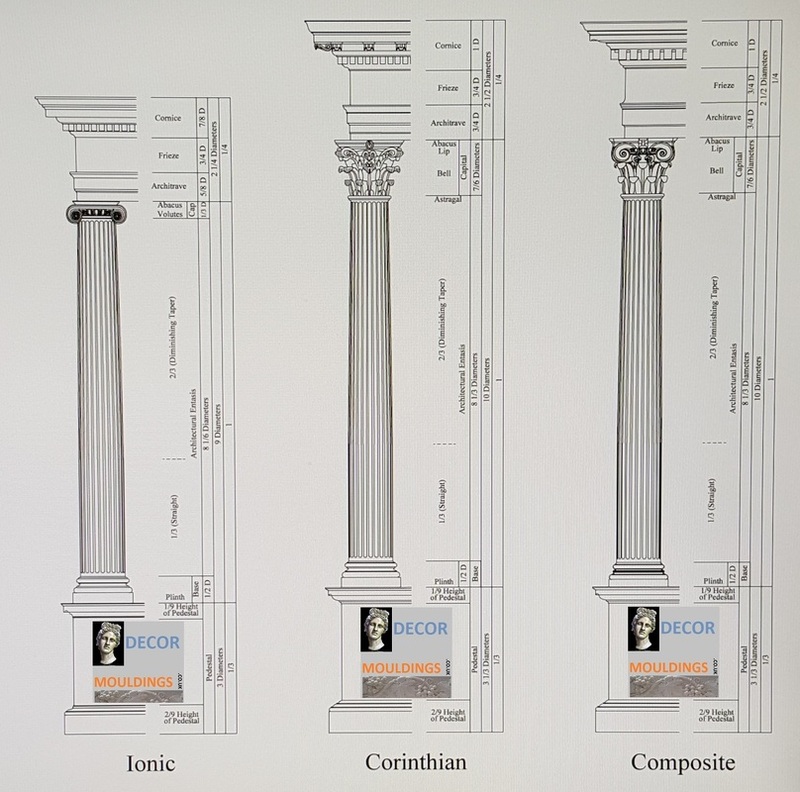 Traditionally, Doric columns are used on the first floor, Ionic on the second, with Corinthian supporting the ceiling of the third. Columns may be used as magnificent punctuation of the interior space. They indicate visual and spatial rhythm, and, when featured appropriately, lead the viewer to the view. A very rough rule when choosing the correct column diameter would be matching the ceiling height (for example, 9') with a tapering shaft diameter (8''-10''), or a straight 10'' diameter shaft. A 10' ceiling height could accommodate a 10''-12'' tapering shaft, or a straight 12'' diameter shaft. Remember that effective entasis or tapering can only be achieved when there is adequate height; therefore, if one only has a distance of 7'-0'', consideration should be confined to straight shafts. The final decision of shaft diameter should also take into account the size of the room and the flow of pedestrian traffic.